Dimensions 0 by 6 by 9 in. Amazon.com description: Product Description: Female Business Owners in Public Relations: Constructing Identity at Home and at Work presents an important perspective on how female business owners construct their work-life integration and addresses key identity questions. 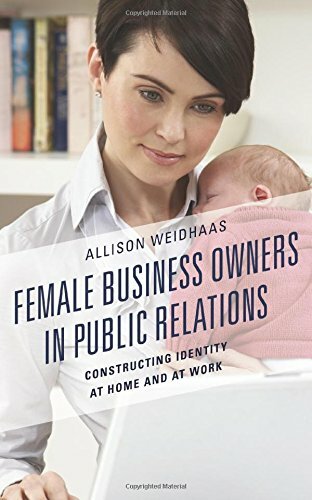 Weidhaas examines business ownership in public relations, an industry dominated by women, and incorporates the voices of practitioners through narrative interviews that explain the challenges and opportunities of work-life integration. This book explores the intersection of public relations practice, gender, and business ownership. About: Female Business Owners in Public Relations: Constructing Identity at Home and at Work presents an important perspective on how female business owners construct their work-life integration and addresses key identity questions.